Are you ready to adventure with the dinosaurs? 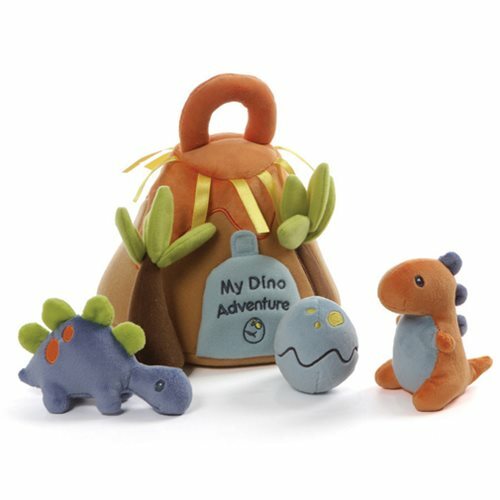 If you are, this terrific My Dino Adventure Playset is for you! With two plush dinosaurs and an egg, it's made of a soft polyester blend and measures approximately 9-inches tall x 7-inches wide x 7-inches long. What fun!